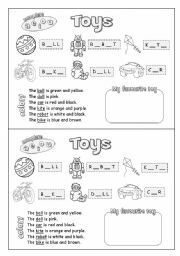 A worksheet to teach CAN/CAN´T through the five senses. Hope you like it!! Work with actions using the simple present. 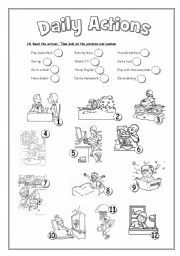 It is an easy worksheet that introduces the use of "S" in the third person singular. Hope u like it! 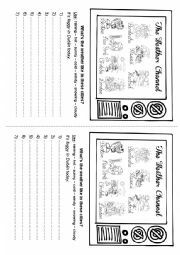 A simple worksheet to teach days of the week and the preposition ON before them. Simple but fun. Hope you like it! Three exercises in half a page! 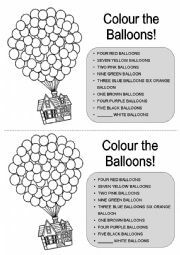 Great for 6- or 7-year-olds who are learning toys and revising colors. Toys: BALL - ROBOT - KITE - BIKE - DOLL - CAR Hope you like it!! Present Continuous vs. Present Simple. Students have to colour as many cells as right answers they get. The higher in the meter the better!! Hope you like it! 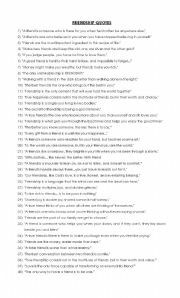 Here is a bunch of friendship quotes taken from different books, magazines and websites. I usually begin each class with one quote to discuss its meaning. It really helps to encourage companionship and love towards classmates.